Great Plains Clothing is one of our best selling brands for a reason. Great quality and design combined with practicality makes their new collection a must for your autumn wardrobe. Relax on colder days in the Savanna Knit High Neck Jumper. 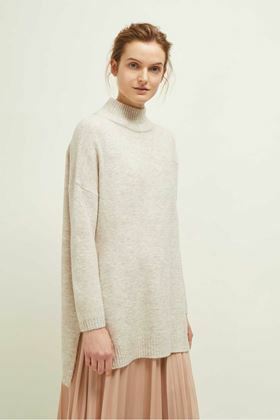 The oversized jumper has a cosy look and feel with a soft wool-blend and slight stretch for added comfort. 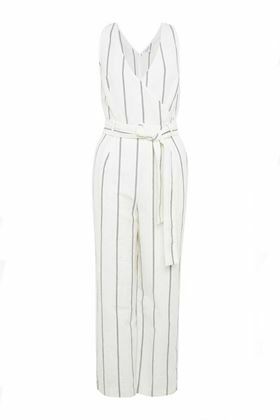 Perfect for warmer days, the Santa Fe Striped Trousers cut a sleek silhouette. 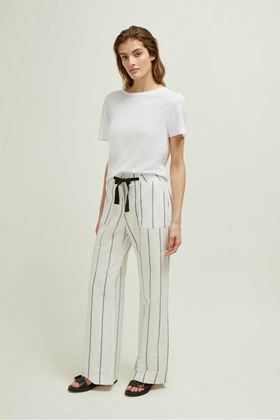 Crafted from a linen blend, the trousers have a lightweight feel and a flattering wide leg fit. Dainty frills and a light, fluid shape make the Texas Tie Detail High Neck Top a perfect fit for warmer days. The sleeveless top has a draped, form-skimming fit and features a relaxed neckline with a tie detail. 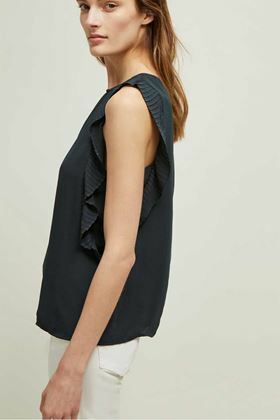 The Acacia Frill Top is a pretty yet versatile separate. 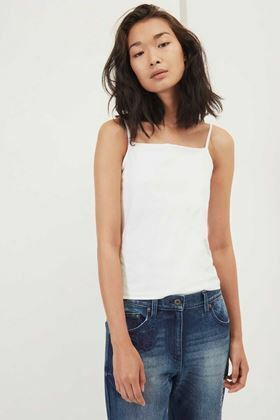 The light sleeveless top has a form-skimming fit and a clean silhouette punctuated by delicate pleated frills along the sides. 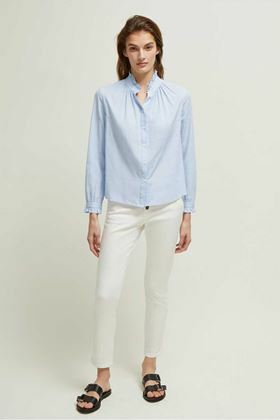 Update your collection of wear-everywhere separates with the Kasbah Cotton Blouse. 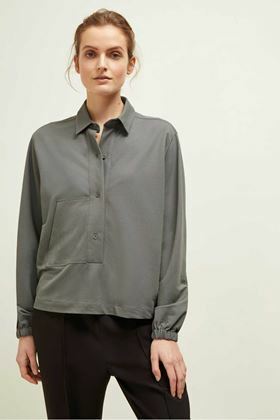 Crafted from cotton, the blouse has a lightweight feel and easy, relaxed shape. 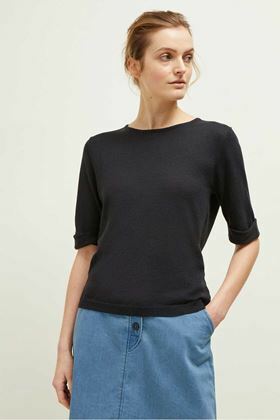 Add a light layer with the Mustique Linen Blend Jumper. Crafted from a linen blend, the casual piece offers a seasonal update to your knitwear collection. The foundation to any good wardrobe is its staples. 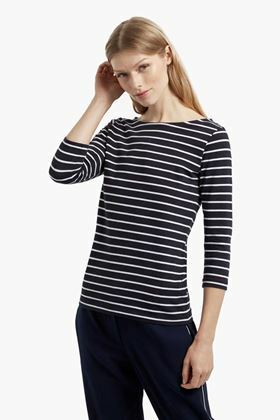 With a chic boat neckline and 3/4 length sleeves, this top will be a casual favourite for downtime days. The relaxed fit suits layering under knitwear or wearing alone with denim. 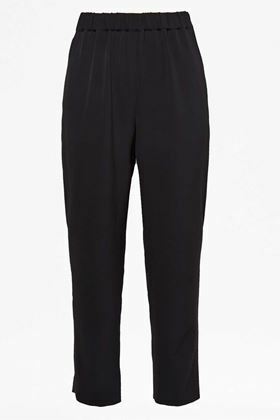 For a relaxed approach to everyday dressing, slip into the Louis Crepe Trousers. 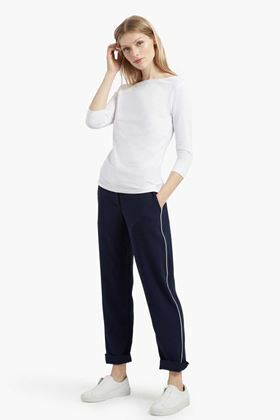 The perfect fit for casual days, these lightweight trousers feature an elasticated waist and an easy, draped shape, casting a low-key silhouette.